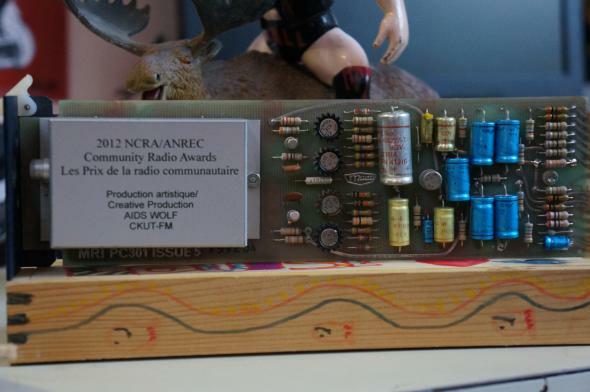 CKUT just won an NCRA award for our ad promoting local noise outfit AIDS Wolf’s last show ever. It was a bitter sweet win in that sense, as fans were sad to hear of the band’s demise. Luckily the dry witted script, stellar production (by CKUT’s LouEase Burns), and smooth delivery of AIDS Wolf’s Alex Moskos could put a smile on even the most forlorn of followers. Take a listen to the ad for yourself and you’ll understand what we mean. Success? Oh, there’s a sound for that. It’s called CKUT.